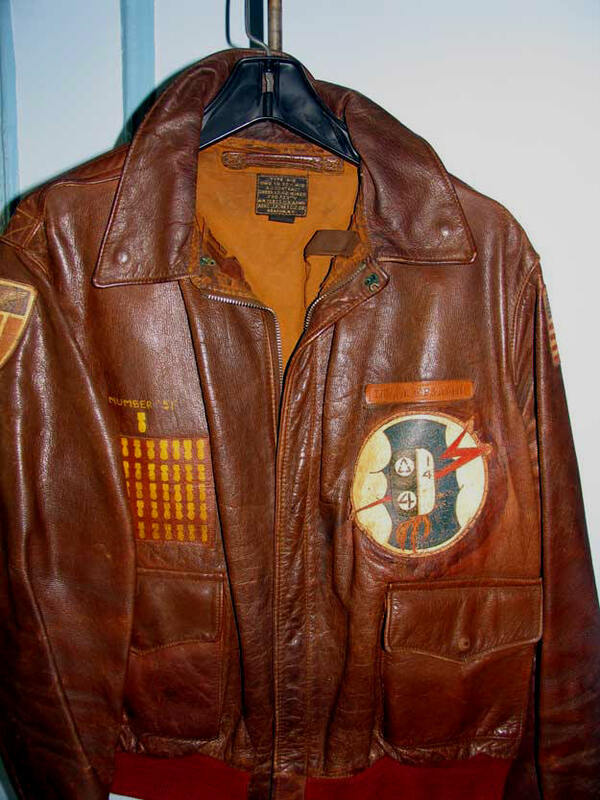 The actual jacket worn by Lt. A. Epstein in the classic photo that we proudly use in our company image. Lt. Epstein flew 51 B-24 missions as a navigator in the Mediterranean theater. 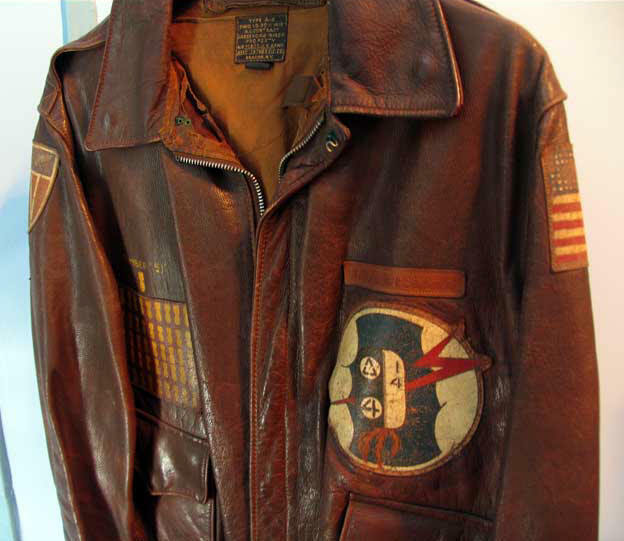 The A-2 illustrates the elaborate artwork characteristic of MTO AAF flight jackets: Italian-made incised leather painted XV AF and US Flag Patches; Squadron Patch (aircraft tail markings); Painted 50 Mission Leather Patch; Painted-to-Jacket 51st Mission; Leather Name Tag. 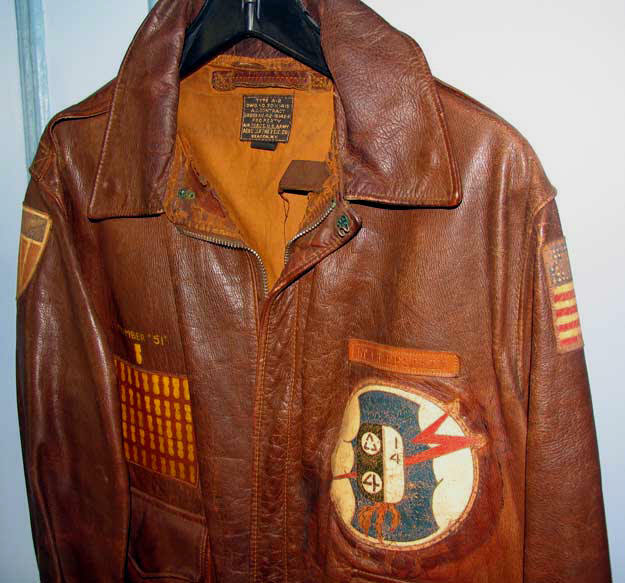 We were lucky enough to obtain from Lt. Epstein this jacket as well as his massive and truly historic & unequalled wartime grouping, which includes a comprehensive mission notebook, original squadron patch artwork and a fantastic album of original combat photos taken by the co-pilot -- a commercial photographer before the war. Among the photos are those of enlisted crew donning Epstein's jacket for the occasion. 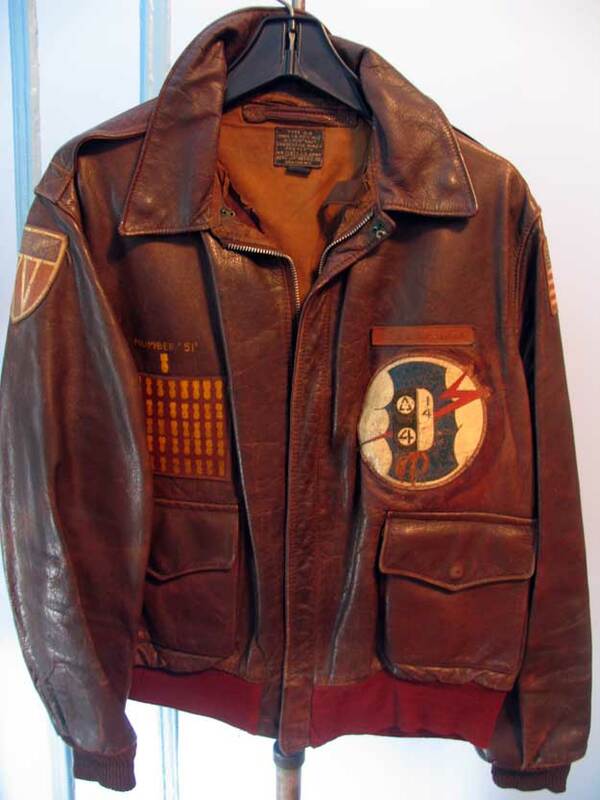 Lt. Epstein recorded his combat experiences with the same meticulous care in which he kept his beloved A-2 for 50 years until illness compelled him to entrust it to our Collection, where it will remain as an inspiration both to us and to those fortunate to view it.